In our shop you can find and purchase legit and 100% authentic Letrozole - Femara tablets from most popular brand such as Meditech Pharmaceuticals and Alpha Pharma Healthcare. 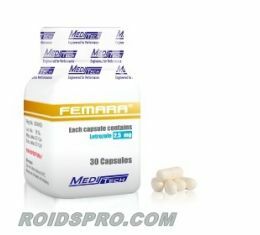 For what is Letrozole - Femara mostly used ? Letrozole pills is the mostly used to treat breast cancer in woman and helps to prevent cancer of returning. 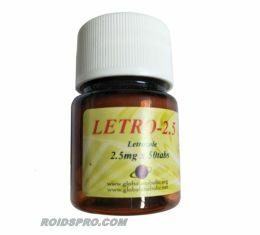 In bodybuilding Letrozole is used for PCT (post cycle therapy) because have also anti-estrogen properties. This product is approved by FDA regulations as well and in men athlete population mostly used during steroid cycle for reduce bloating due excess water rentention and helps to prevent gynecomastia (works as estrogen blocker) which is most popular side effect of using anabolic steroids. 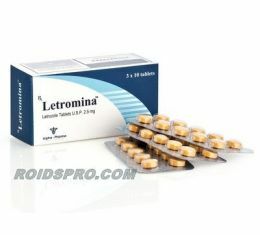 Letrozole - Femara can bring some side effects such as: nausea, diarrhea, hair loss and joint bone and muscle pain.